Department head Dr Joan Buckley claims her application for one of 10 senior posts at the university was not objectively considered. A UNIVERSITY LECTURER has launched a High Court challenge aimed at halting a selection process for the appointment of 10 senior posts at University College Cork’s School of Business. The application has been brought by Dr Joan Buckley, who is a senior lecturer in marketing and the current head of Department of Management and Marketing at UCC, arising out of the college’s decision not to shortlist her for the professorial positions it advertised last year. She claims the process engaged in by UCC to appoint professors at Cork University Business School is “tainted” and “flawed”, and should be set aside. A new process should be put in its place, she claims. Buckley says she has been treated unfairly and that her application was not properly or objectively considered. The selection committee that compiled the shortlist did not comply with required regulations concerning the shortlisting of candidates, she also claims. She says her exclusion from the shortlist, given her academic record and years working at various senior posts at UCC, is regarded as “inexplicable” by many at the university. In a sworn statement to the court, she says she fears the failure to make the shortlist will cause incalculable damage to her career and, if allowed stand, she “will never be a professor”. In her action, Dr Buckley, represented by Frank Callanan SC, seeks various orders including an injunction preventing the interview of candidates shortlisted for the posts from proceeding. Counsel said the interviews are due to take place in the first week of April. Mr Justice Michael Twomey yesterday granted Dr Buckley permission to serve short notice of the proceedings on UCC. Permission was granted on an ex parte basis, where only one side was represented in court, and the judge adjourned the matter to next week. Opening the application, Mr Callanan said his client has fulfilled a number of senior roles at the University’s business faculty since 1990, and played a key role in the establishment of Cork University Business School. Counsel said his client, a highly respected academic, was unhappy about UCC’s decision to fill the 10 posts from the start. A similar process was attempted and was not successful at other universities, counsel said, but she decided to apply for the post. She was one of more than 250 candidates who applied for the positions. Earlier this month, his client was informed she was not on the shortlist. When she got feedback on why she had been turned down, she was told the required research output to warrant inclusion on the shortlist had not been demonstrated. This, counsel said, is incorrect given the extensive research she has undertaken. Her research was at least on a par with several candidates who were shortlisted. Dr Buckley had been involved in the establishment of Cork University Business School, which at times was acrimonious, and led to disagreements with an academic who sat on the selection committee which decided who was to be shortlisted. Counsel said his client has been under immense strain and has been forced to take time off work. Comments are disabled on this article as legal proceedings are ongoing. 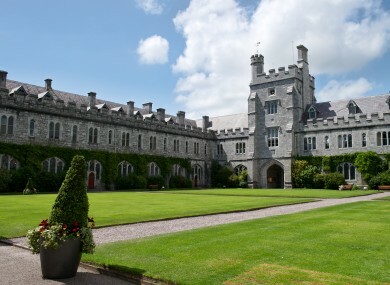 Email “Senior UCC lecturer takes legal action after failing to be shortlisted for jobs”. Feedback on “Senior UCC lecturer takes legal action after failing to be shortlisted for jobs”.